Welcome to Springfield USA, the all-American hometown of The Simpsons family. As part of the World Expo portion of Universal Studios Florida, the bright colors and larger-than-life details inside Springfield USA make guests feel as though they have stepped into the world of the longest-running animated television series in history. 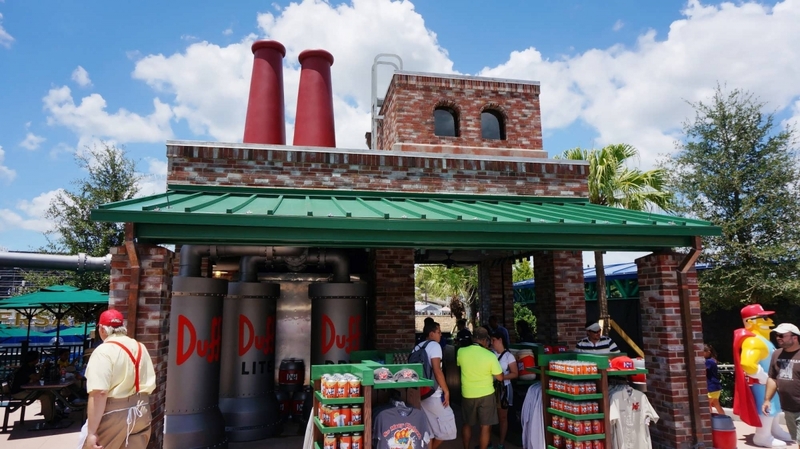 There’s plenty of photo opportunities with Simpsons characters and specialty food & drinks to enjoy, such as the Flaming Moe (non-alcoholic) and Duff Beer, the signature drinks of Springfield. Springfield USA at Universal Studios Florida. Take a stroll down Fast Food Blvd, a street that has appeared on a small handful of Simpsons episodes, poking fun at the clusters of competing fast food joints found in many American neighborhoods. 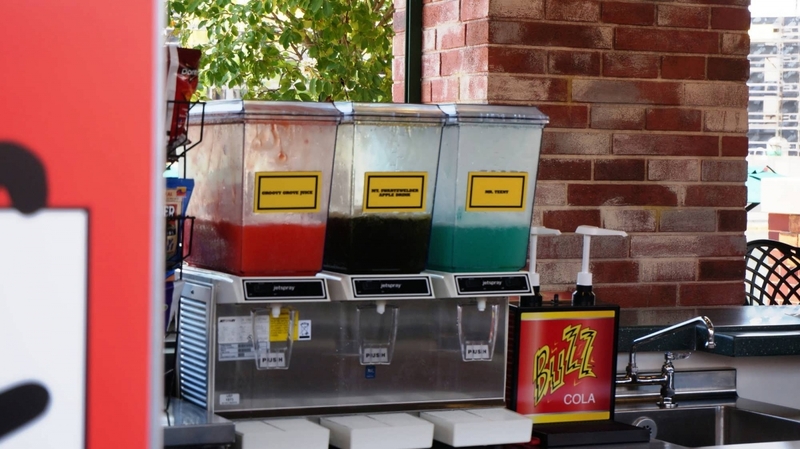 Bumblebee Man’s Taco Truck is parked at the entrance to Springfield USA, serving up a street food staple, the taco. 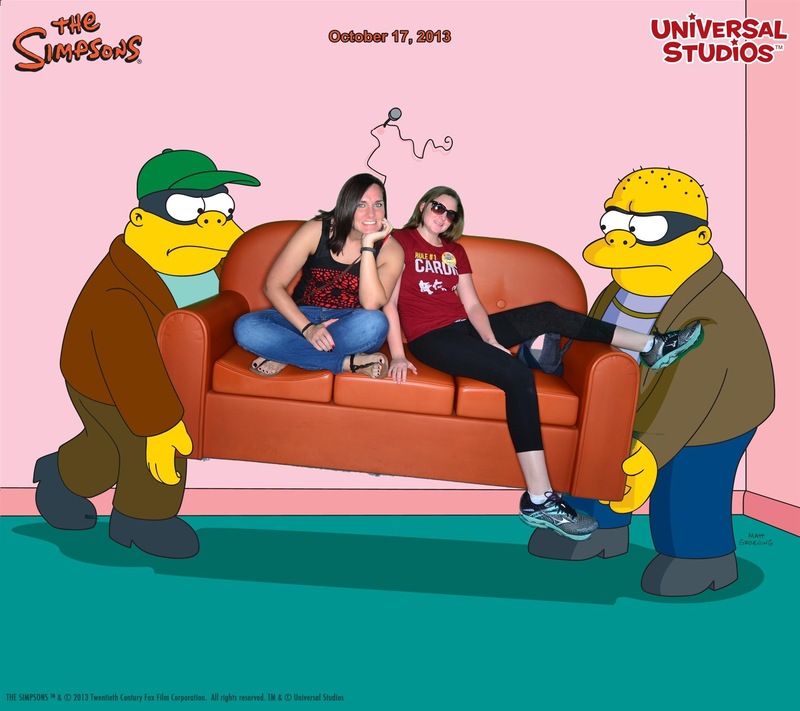 By the looks of the crashed patrol car, it appears that Lard Lad’s Donuts has distracted Officer Wiggum from his duties. 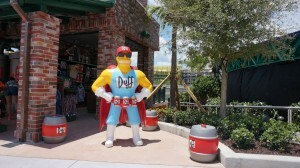 His crashed patrol car has caused the town’s fire hydrant to spray water onto the Town Square, offering some relief on a sunny day. 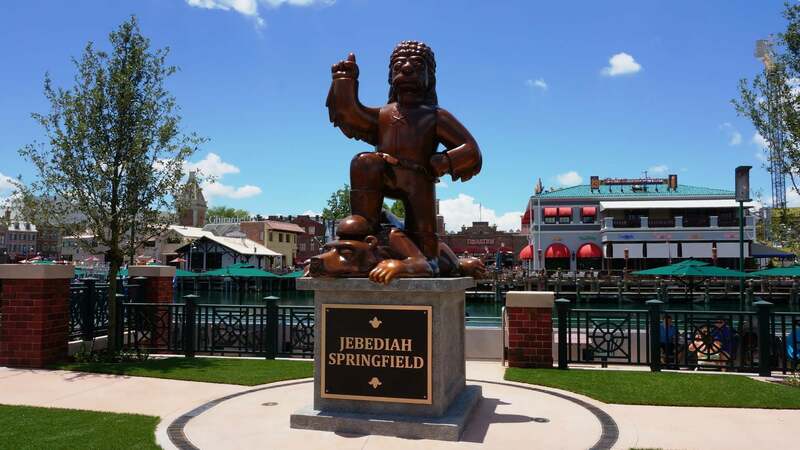 The centerpiece of the town square is the statue of Springfield’s founder, Jebediah Springfield. 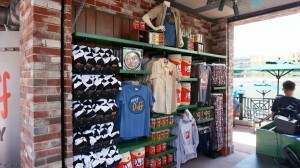 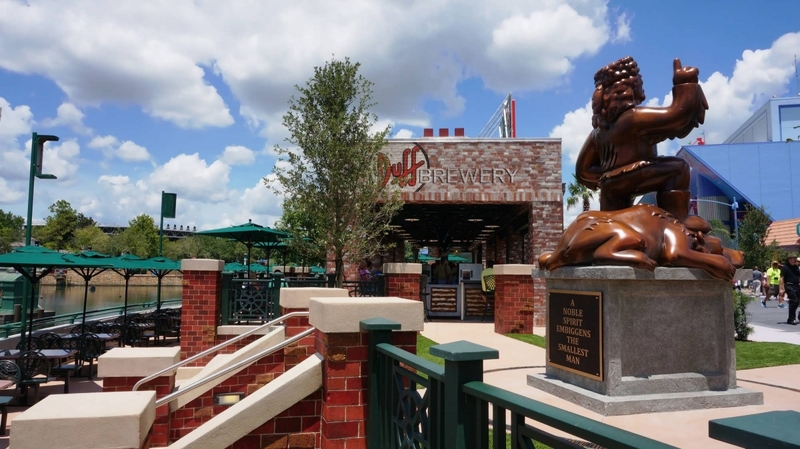 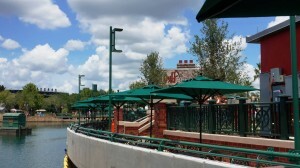 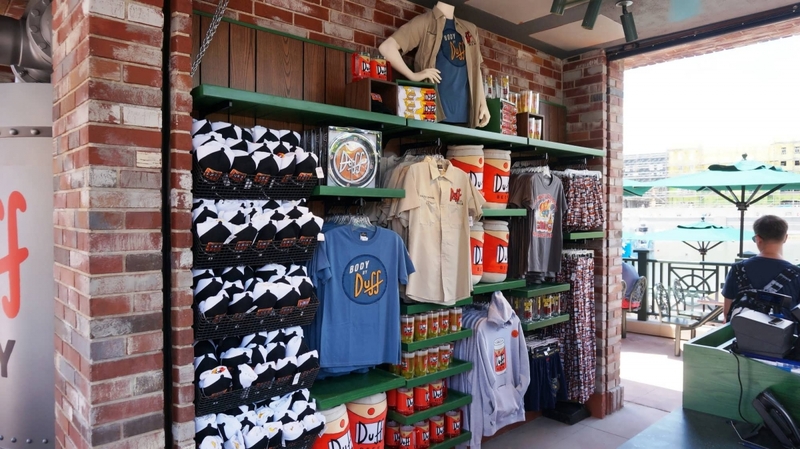 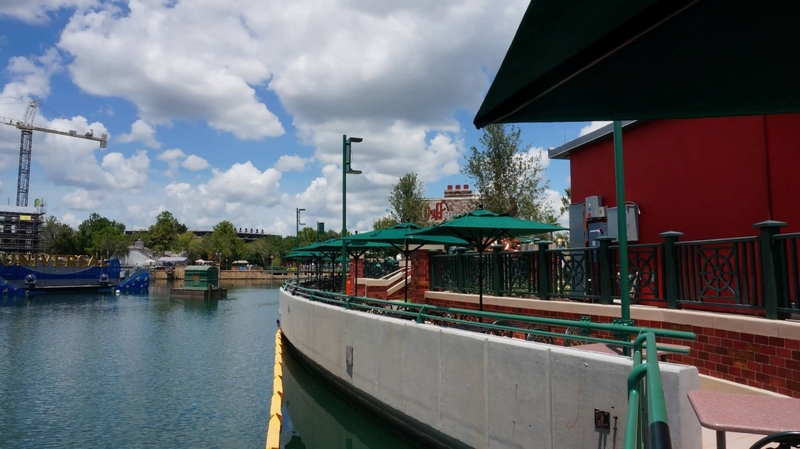 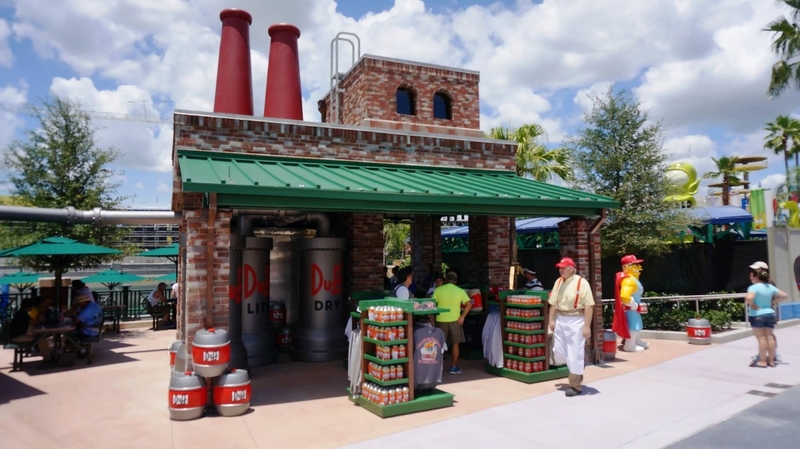 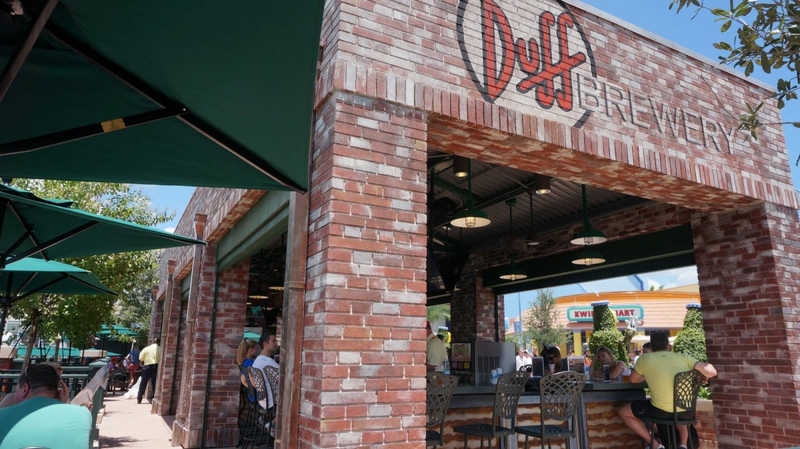 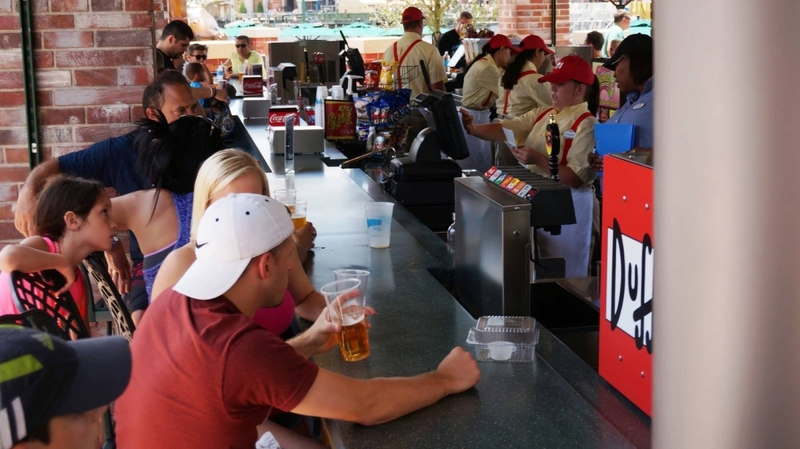 Located next to the prominent statue is Duff Gardens Brewery, a brick-laden outdoor bar where the locals can’t get enough of that wonderful Duff. 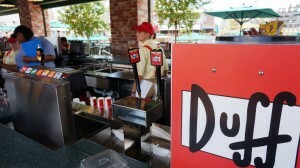 Inside Fast Food Blvd, you won’t find any golden arches, instead you’ll find the smiling face of Krusty the Clown placed high above the entrance of Krusty Burger, as well as the toothless grin of the local yocal, Cletus, welcoming you to Cletus’ Chicken Shack. 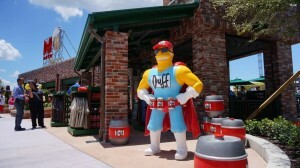 And when you’re craving something to wash down all the yummy fast food, look no further than the iconic Moe’s Tavern. A full-size recreation of Homer’s favorite drinking hole, no trip to Springfield USA would be complete without a stop inside these doors. 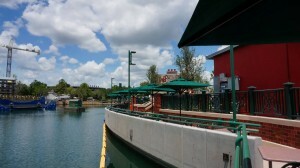 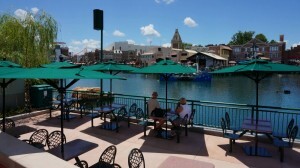 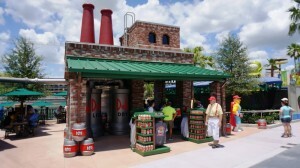 Inside Moe’s Tavern at Universal Studios Florida. 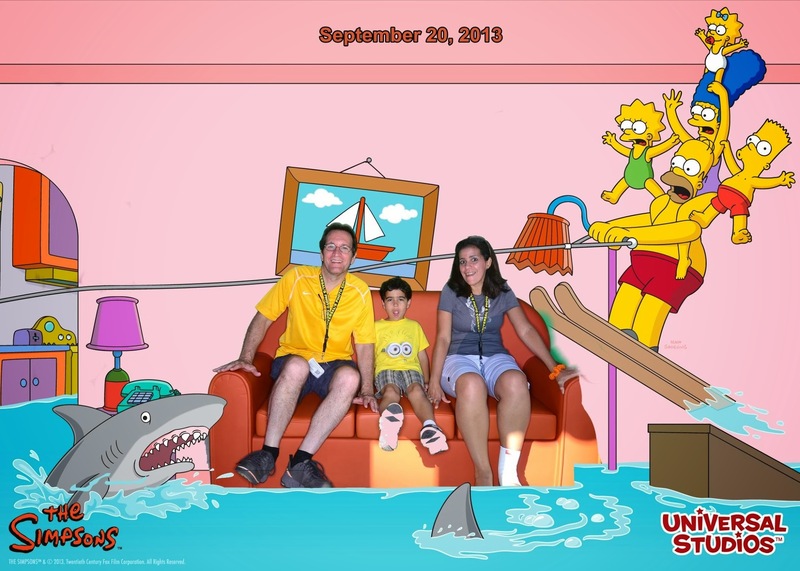 After the food, there’s fun to be had at Springfield USA’s two rides and midway games. 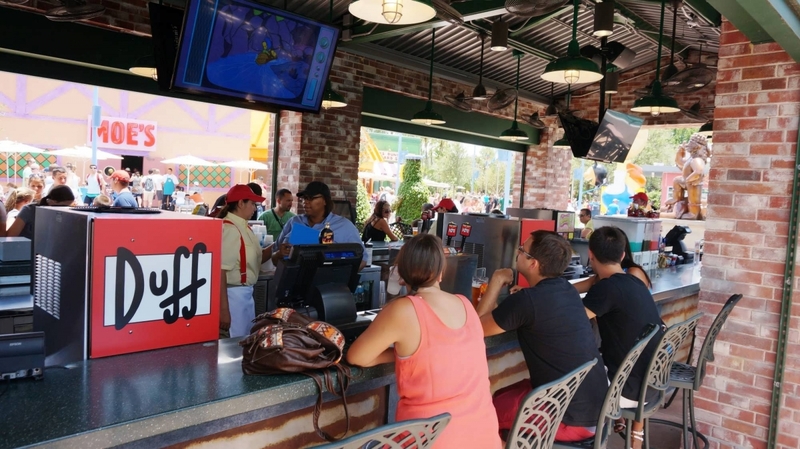 The wacky, bright-green aliens are at it again, as Kang & Kodos’ Twirl ‘n’ Hurl lures guests into their flying saucers. You won’t just take a spin on this ride — you’ll use your flying saucer to “attack” the citizens of Springfield. Next, try your luck at the many themed midway games and earn prizes, such as a giant plush can of Duff beer or a superhero-dressed Homer Simpson doll. 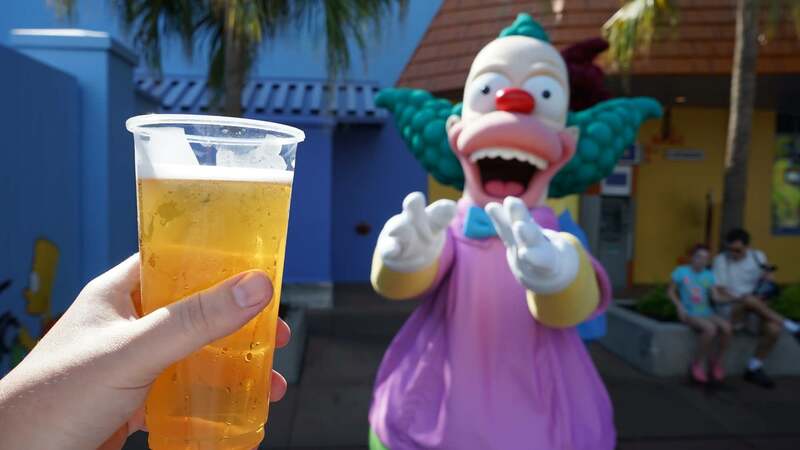 Finally, at the area’s E-ticket attraction, take a trip to a Krustyland, a “theme park within a theme park”. 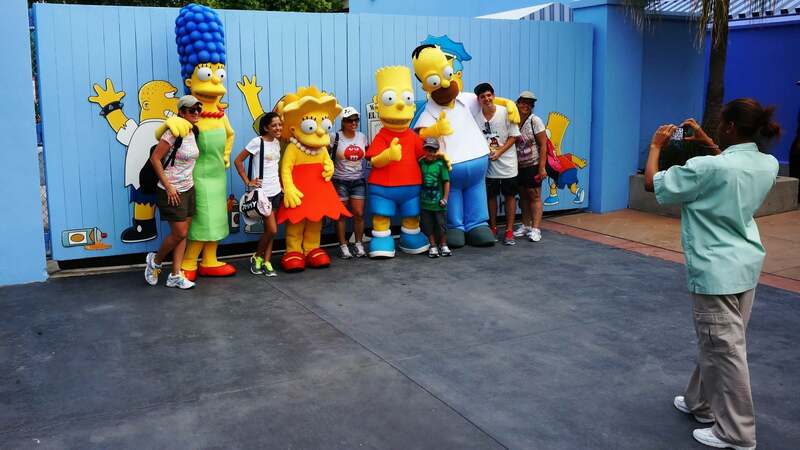 The Simpsons Ride offers thrills and laughs as your trip to Krustyland is interrupted by The Simpsons villain Sideshow Bob. 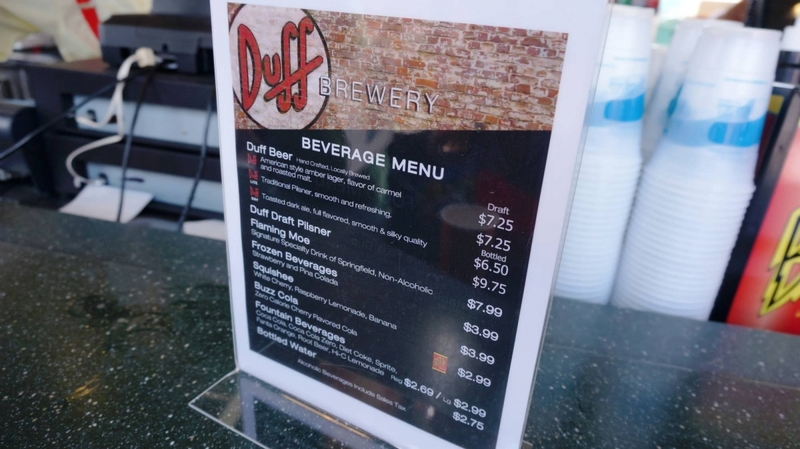 There are plenty of gags and jokes for both Simpsons geeks as well as guests that may be unfamiliar with this all American family. 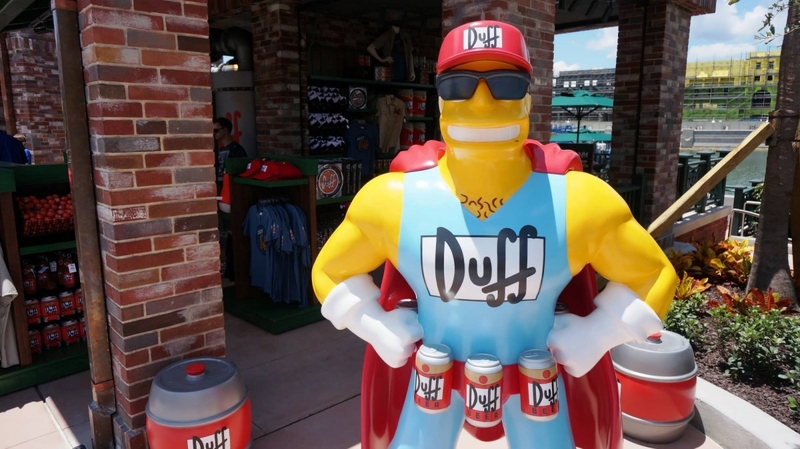 As you complete your trip to Springfield USA, keep an eye out for character meet-and-greets. 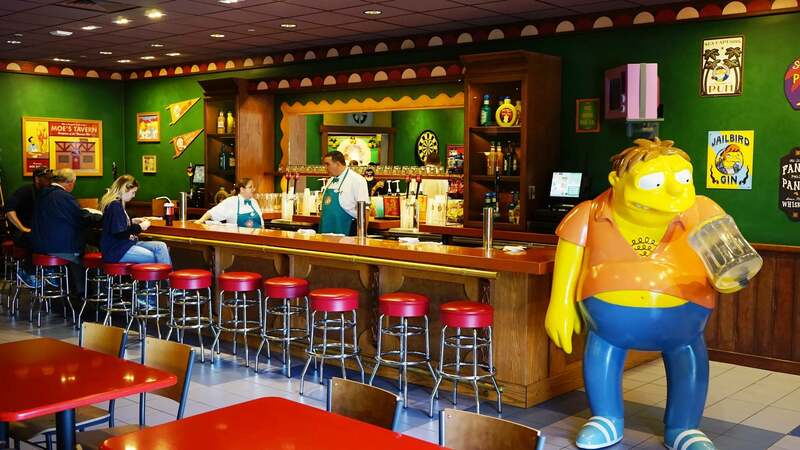 You can usually find The Simpsons characters at the corner of Fast Food Blvd and Evergreen Terrace (the street on which the Simpson home sits in the television series), including the Simpsons family, Krusty the Clown, and Sideshow Bob. 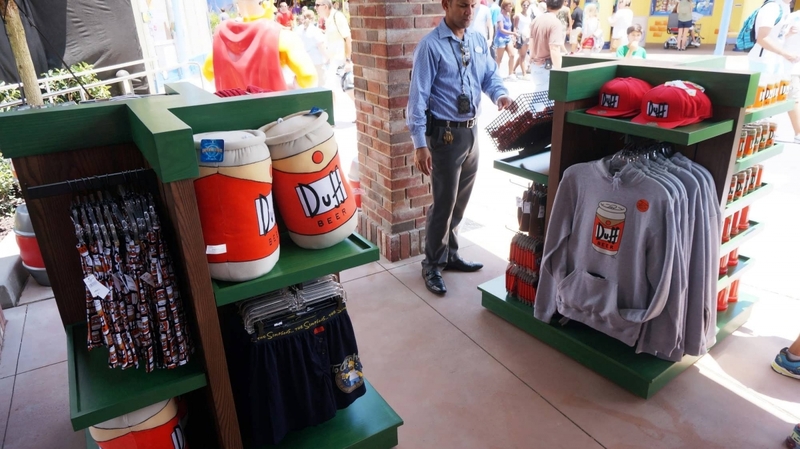 Finally, before you head out of town, stop by the world-(in)famous Kwik-e-Mart for some of the wackiest and most creative theme park souvenirs available anywhere. 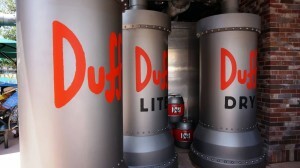 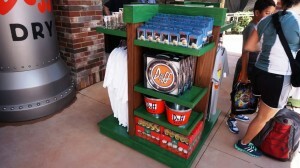 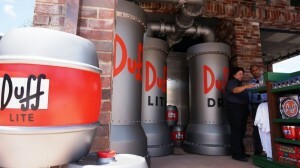 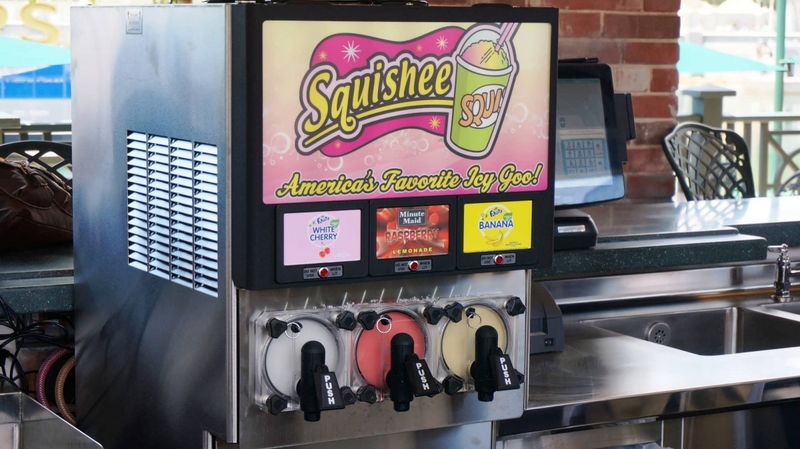 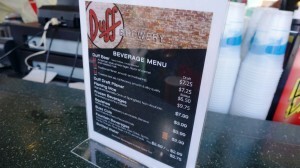 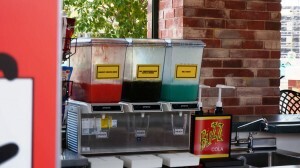 A tip for Simpsons fans: You can’t purchase the legendary Squishee at Kwik-e-Mart, but they are sold at Duff Brewery. 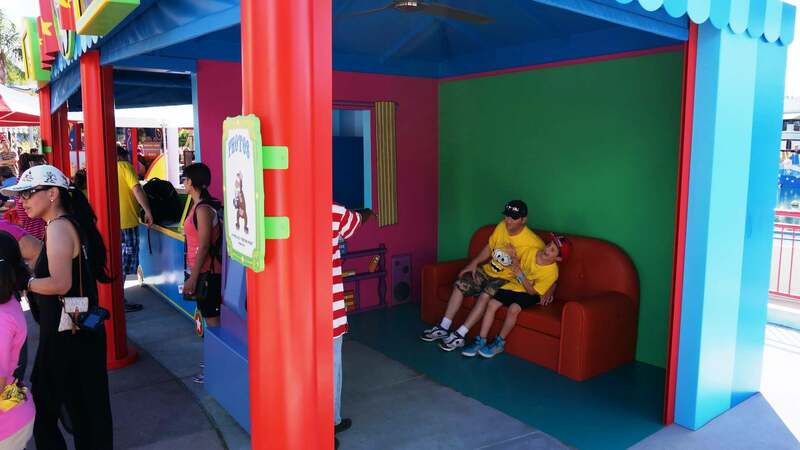 Located directly across from the entrance to The Simpsons Ride, your family has the opportunity to get a photo taken on the Simpsons family couch featured during the opening sequence of the TV show. 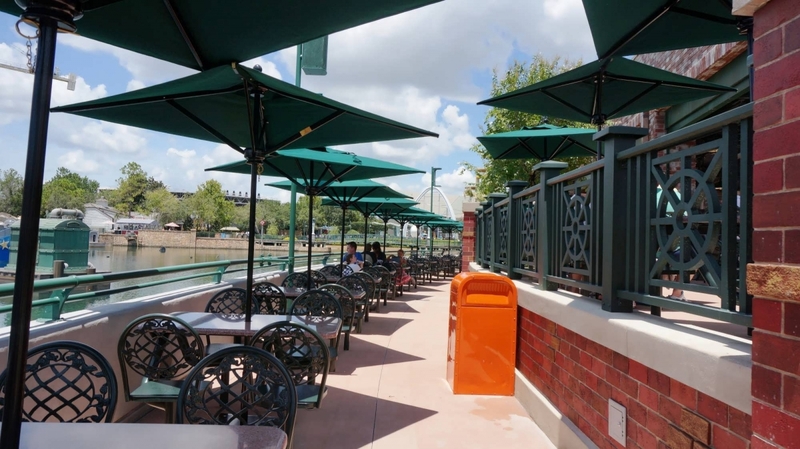 Prints may be purchased individually, but we highly recommend that you participate in Universal’s Photo Connect Star Card program instead. 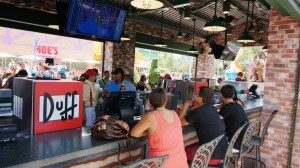 Check out our interactive map below. 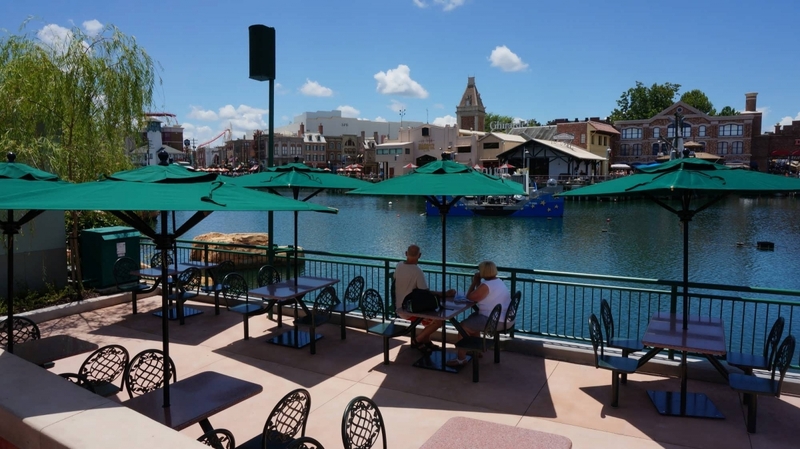 When you are ready to learn more, use the navigation links at the bottom of the page to explore the individual attractions.